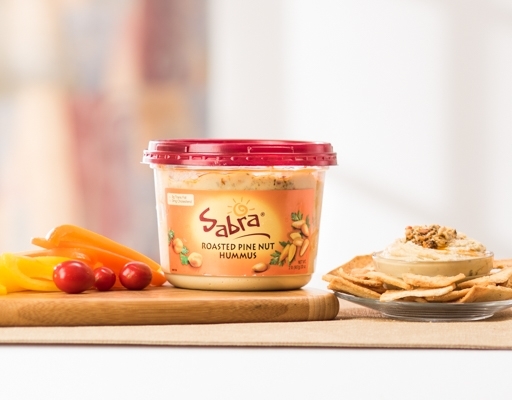 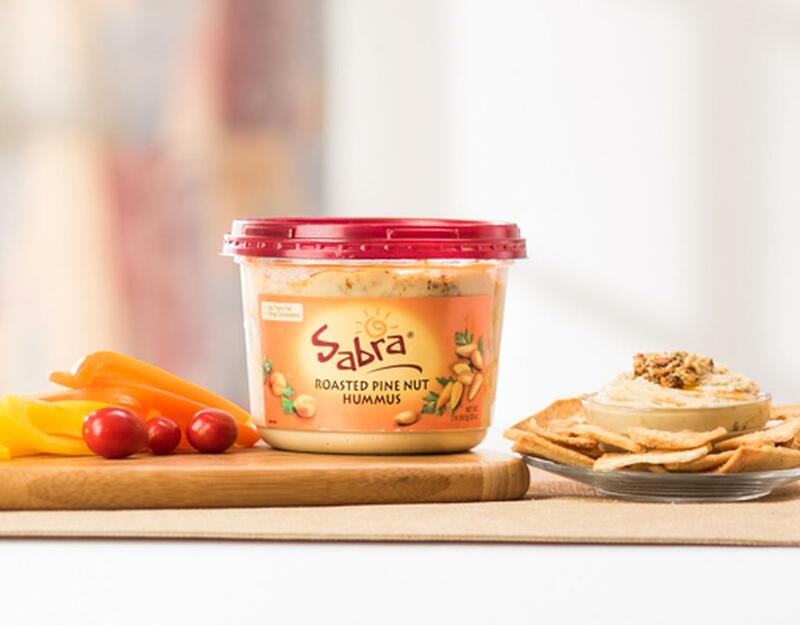 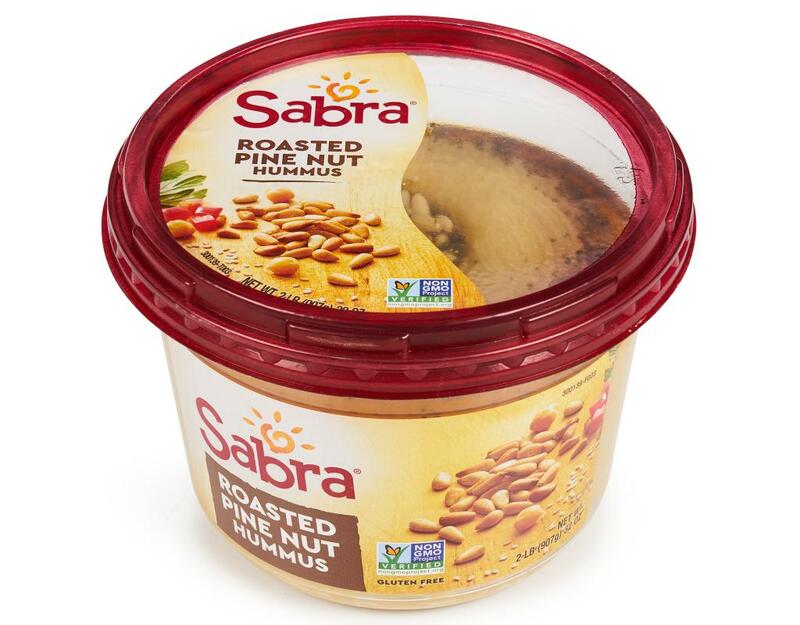 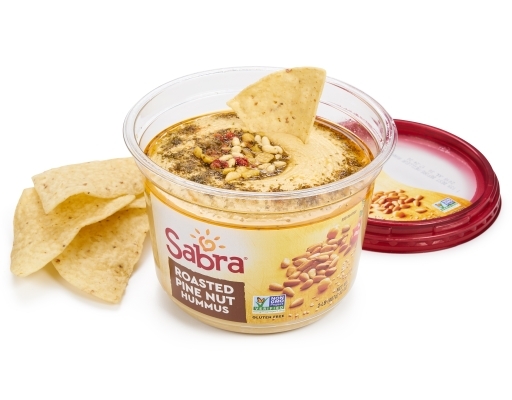 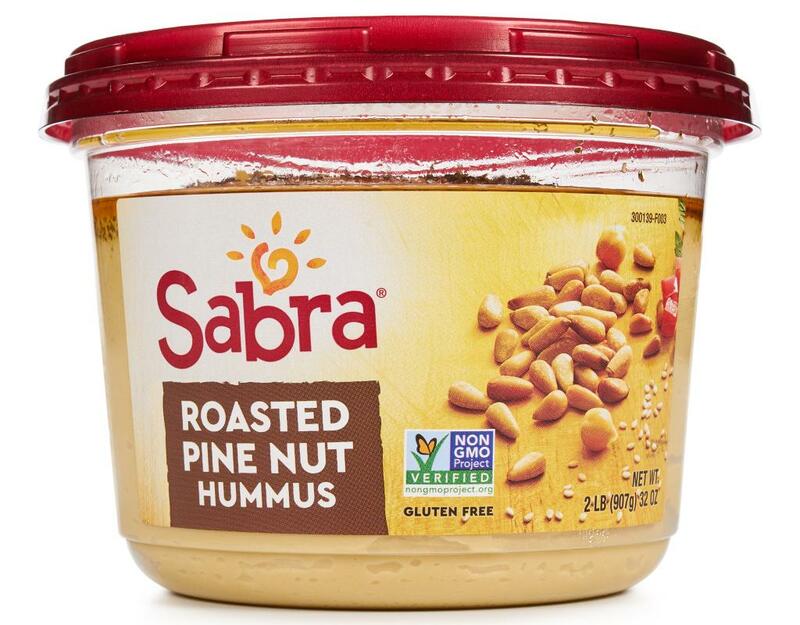 Try this roasted pine nuts hummus with your favorite crackers for a healthy snack that’s great anytime. 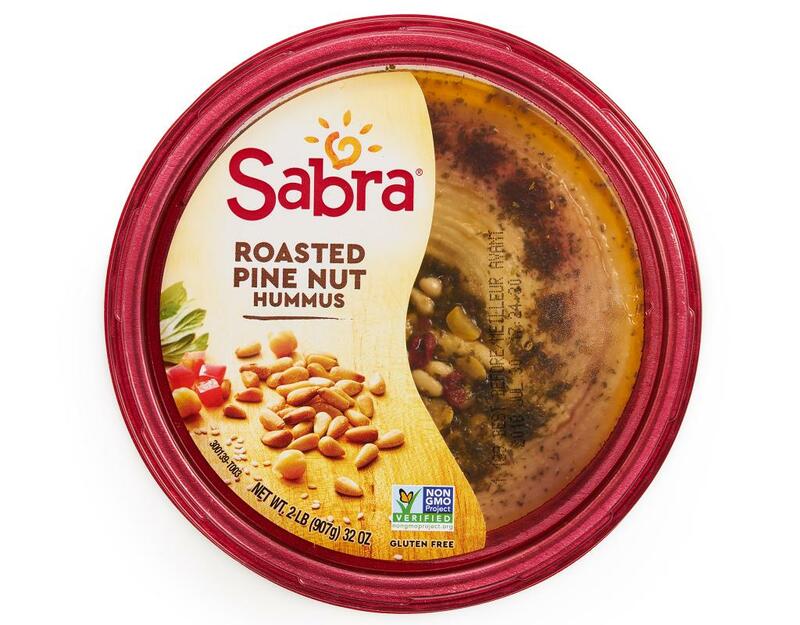 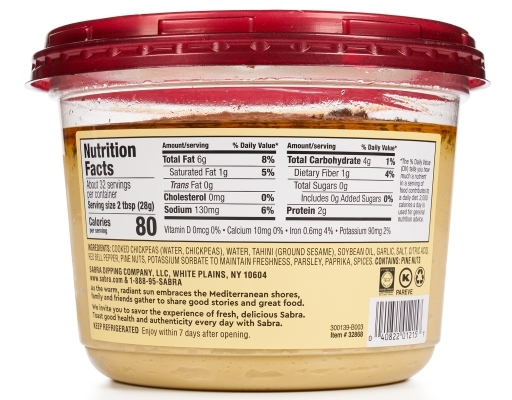 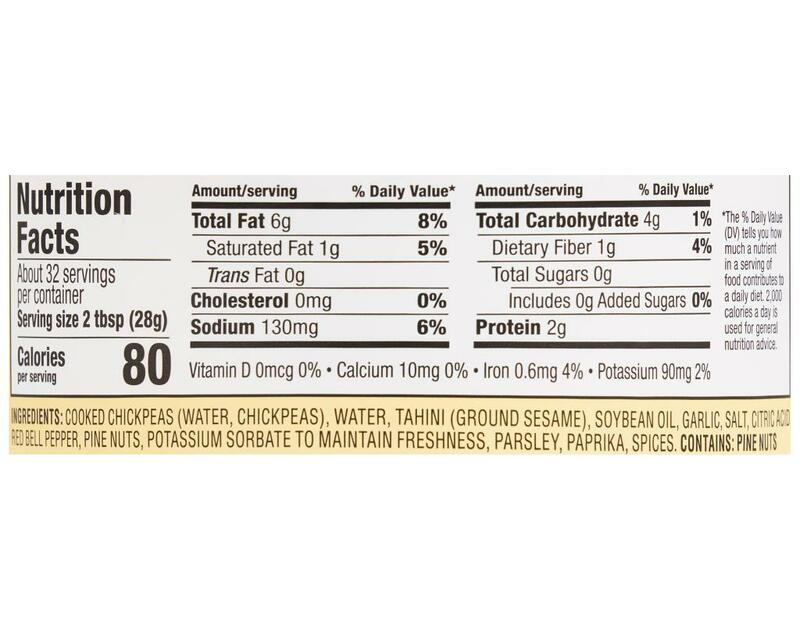 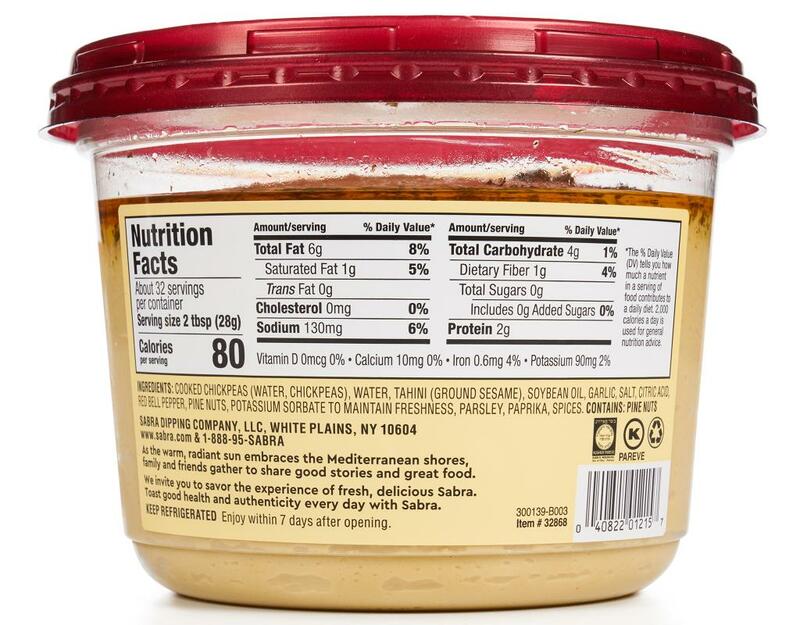 Cooked Chickpeas, Tahini (Ground Sesame), Soybean Oil, Water, Garlic, Salt, Citric Acid, Red Bell Pepper, Pine Nuts, Potassium Sorbate Added to Maintain Freshness, Spices. Contains: Pine Nuts.